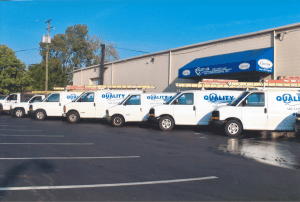 Quality Air Heating and Air Conditioning > Articles > Air Conditioning > Is it Time to Take Greater Control Over Your Air Conditioning System? Is it Time to Take Greater Control Over Your Air Conditioning System? If you have a very small studio apartment, or are trying to cool a single rented room, then a window unit air conditioner may suffice. However, cooling an entire house, regardless of size, is much more successfully done with the use of a central air conditioning system. One common concern about using a central AC, though, is the fact that homeowners may not necessarily wish to cool their entire homes to one temperature throughout. You can’t really just seal off vents, as that can disrupt the performance of the system as a whole. There is a solution, though: using a zone control system in Columbus, OH. How Does Zone Control Work to Benefit Me? A zone control system is made up of a few basic components, which you must understand if you hope to understand how the system as a whole works. There is a central control panel integrated into the HVAC system. Multiple thermostats are wired into this control panel, with one being installed in each temperature zone. Also wired into this panel are multiple electronic dampers, which are installed strategically within your ductwork itself. These dampers will open or close as needed in order to regulate airflow throughout the ductwork. So how does this all benefit you? Well, you no longer have to maintain one set temperature throughout your entire home! You certainly don’t turn on every light in your house when you want to sit in the armchair and read a book, right? Different people are comfortable at different temperatures, and different rooms are in use at different times and with different frequency than others. By breaking your home into zones, and cooling–or heating them–only as much as you want to, when you want to, you can live more comfortably while also cutting down on energy costs. Schedule your zone control system services with Quality Air Heating and Air Conditioning.